1. Is the person able to get the results you want using humane training methods? 2. Does the person have real life training experiences with their personal dogs (police dog, search and rescue dog, etc,) or did they simply take a franchise’s instructor training course? 3. Is the person’s personal dogs well mannered and happy companions? 4. Does the person have a solid understanding of learning theory? 5. Is the person empathic to your situation or does the person criticize you via comments disguised as jokes? The consultant should be understanding of your situation and work for and with you to obtain your training goals. 6. Does the person have an understanding of family dynamics and counseling theories which will help members of a family work together toward established common goals. 7. Is the person multi-culturally understanding of various race, ethnicity and gender identities? 8. Does the person encourage all family members and significant others to participate in the training program and does the person work well with children so they too can be involved? 9. Does the person effectively break down learning exercises into easily understandable components and provide handouts, written summaries, and/or video summaries? 10. Does the person encourage dialogue and is courteous to both canine and human clients alike? 11. Does the person make learning fun? 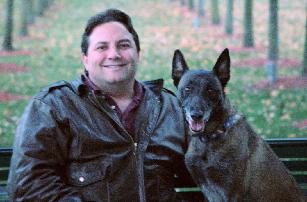 Michael Burkey, a professional dog trainer and dog behaviorist meets all eleven standards. Contact him to help you solve your dog training problems. * Walk away from a dog trainer who tells you to growl at your dog, yell at your dog, alpha roll your dog, strike your dog, kick your dog or believes in the outdated Alpha/Dominance/Pack Leader mentality. * Remember, no matter who you work with, you have the absolute right to stop any trainer or other animal care professional who, in your opinion, is causing your dog harm. This entry was posted in Dog Training Profession, Dog Training Tips, Uncategorized and tagged dog trainer, dog training, How to Choose a Dog trainer. Bookmark the permalink.